Summary: If you are looking for a video capture software to capture your screen on Windows to create tutorials, share tips, etc. , you can have a look at the top 10 best screen recorders for Windows. There are many screen recorder software programs in the market. If you are looking to create videos that would capture screenshots of different computer applications in order to create step by step tutorials, share tips or screenshots of a game play and more, you will want to have handy Windows screen recorder software. Capturing screen shots also comes in handy when you are working remotely and need to send across glimpses of your work; in case of any recurring problem with one’s computer, it is necessary to send across screen shots to tech support in getting the problem identified right. What you can do with screen recorder software? This kind of an application helps you to showcase creativity when you are playing games, recreating movie scenes or filming music videos with simulation games. The video screen capture capability of such software enables one to create videos, edit or annotate a video as well as film picture in picture for different Windows software like screen recorder for windows 7/8/10. You can also create screen shots that come in handy for creating step by step tutorials. The top ten softwares in this category are showcased below. DVDFab Screen Recorder and Editor for iOS allows one to capture what is going on your Windows monitor as well as iOS devices; that could be multiple windows, menus and screen activities of different applications. The instruction page along with graphics makes it easy for one to create videos with this software. Advantages of the software are several. The feature of capturing video and audio along with AirPlay mirroring is a handy aspect of this software, thescreen recorder for Windows 10/9/8. It allows tuning in of webcam video for creating a picture in picture effect; the audio and video editing capabilities are also several. The limitation of the software includes requiring one to purchase the software to avail of these features. 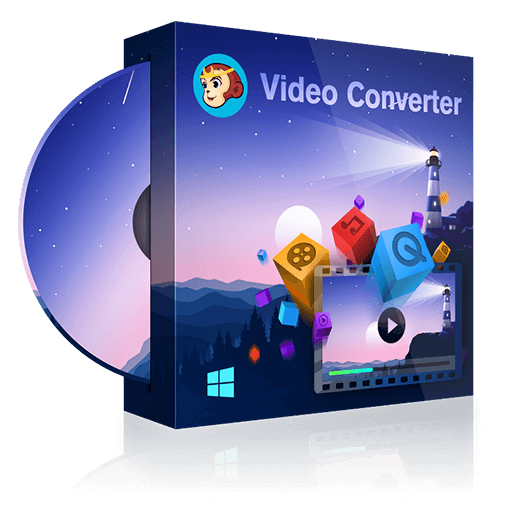 This is one of the reliable and free screen capture software with video recording capabilities. The software allows screen activity to be captured as video; it can be annotated as well as shared on social media channels. It is advertised as a free, simple and feature rich software. However, certain aspects are included in the paid software version such as increased storage, length of video that can be shot, eliminating promotions and ads as well as video annotation. This is a free and open source windows screen recorderthat provides resources for creating AVI based on video and audio activities captured on screen. It helps to convert AVI format to SWF. The software is easy to figure out how to record screen on Windows and use with built in step by step guidance. The software provides the advantage of creating compressed video files that does not compromise on quality. Its advantages comprise of adding screen captions to video, recording picture in picture by web cam and help files built into the software. Limitations include several promotional ads that show up with the software. Paid version of this software does not exist. This windows screen recorderis best used with games. However, it can record other programs as well when they are displayed on the screen. The recording is seamless and smooth on this software. It uses video compression that is advanced and can create videos of high quality without using too much disk space. This screen recorder for windowis able to record HD videos, make optimal use of disk space, capture video in picture in picture mode; it also offers post editing functions. The limitations of the software include no multilingual version being available. The paid version offers licenses that vary from $15.90 per year to $40.9 for a period of five years. The paid version provides recordings without watermarks, with higher frame rate feature and being able to define the settings yourself. This windows screen recorderis marketed as a freeware. The web page claims use of the processing power of the computer to increase screen recording and video editing speed. The files recorded by this software can be uploaded to YouTube and other sites. It is also compatible with Wiki site of the manufacturer. Its advantages include voice synthesis and face cam capabilities along with a video editor; the site also claims to help create professional videos in a matter of minutes. The limitations of the software include requirement of large hard drive storage; the videos are large size but are often with glitches and lags. There is no paid version available of the software, though manufacturer encourages donations from the users. This windows screen recorderhelps to record professional quality videos of different activities, going to the monitor of one’s computer with little effort. The software not only allows recording of videos, but also to import HD video into another recording. The unique feature that this software allows is creating interactive videos that can include links which can be clicked upon. This helps in generating dynamic video that can be used in workplaces or in classrooms. Advantages of this screen recorder for windowinclude recording that can be done with audio and video tracks; there is a green screen effect which helps user showcase as if they are part of action filmed; animated items can be included such as scrolling text and callouts. It also allows integration with Google drive and offers free apps for recording videos on different mobile devices that can be transferred later to the software platform for editing. Users can use a demo version for 30 days only and videos for commercial use cannot be created with this version. This screen recorder for windowallows recordings to be made from a webcam or from a computer screen. Videos can be uploaded to social media channels like YouTube through option remains to upload videos from this platform’s free host server as well. Advantages of the software include ability to make recordings up to 15 minutes in duration with the free software and limited publication options; paid version is not expensive and recording can be done from both webcam and screen. The software includes watermarks that remain visible in videos created by using the free trial mode; computer audio recording can be done only on Windows Vista and later editions of Windows OS. This screen recorder for windowcaptures any area of a computer screen which can be a video recording or a graphic screenshot. The software has an interface that is easy to use and intuitive. There are suites of options and tools that can be used for screen captures. The recorder will help to make videos of professional grade, whether they are of the games, Skype conversations or webinars. Advantages of this windows screen recorderare several which include being able to outline and draw arrows or text on video captured. Videos can be recorded on webcam along recording from the screen; there is a zoom feature as well that allows users to zoom in as they record. Multiple screen captures are also possible that can be put on a timer. Limitations of the software include only ten minutes of video recording that is provided with the free software and video can be saved only on WEBM format with the free trial version. This is a windows screen recordersoftware available for free for Windows. It helps to record screen casts and there are video editing functions and tools available with this software. The functionalities include deletion of video fragments, removing background noise and applying audio effects. The videos captured by this software are saved in WMV format and can be uploaded to social media channels like YouTube. The advantages of this software include no watermarks, ads or time limits; voice recording can be done that includes mouse sounds, system and microphone sounds. It allows users to edit video and audio and fine tune screen casts that are recorded. The videos can be saved in HD format. Limitations of the software include webcam recording not included and video saving format is only available in WMV. This is a software deemed best screen recorder for Windows. It allows users to capture anything on the computer monitor. From multiple windows with menus and other applications, these can be caught by the video capturing software with ease. The software provides instructions step by step that incorporates graphics as well as helps in the creation of videos. Advantages of the software are several including usage on three computers upcoming obtaining the licensed version. With several screen recorders for Windows software available you can choose as per your requirement. Opt for a software as would fit your needs, whether it is to make a blog post, reviews, and tutorials or simply to put together an instruction list with videos. A basic software in its free mode would offer you certain features, but a fully licensed version will offer you more options and features to work upon. Again, if you are new to this line of software, take the time to find a well guided software that would help you know how to make a screen recording, saving the file and so forth. How to Edit Videos for Instagram? Have you ever wondered how to edit videos for Instagram to get the maximum followers? Here we present the Instagram video specifications and show you how to edit different videos for Instagram. Love Rihanna’s songs? Here we pick out some latest songs of Rihanna. Go to check them and find the tool to download them from YouTube.